The NTK AFRM GEN2 is a true air/fuel monitor that senses exhaust oxygen, carbon monoxide, hydrogen, and hydrocarbons in the exhaust and calculates real time air fuel ratio (AFR). NTK # 90067 . The NTK AFRM GEN2 updates upon the NTK AFRM in several ways and offers lambda display as well as AFR. 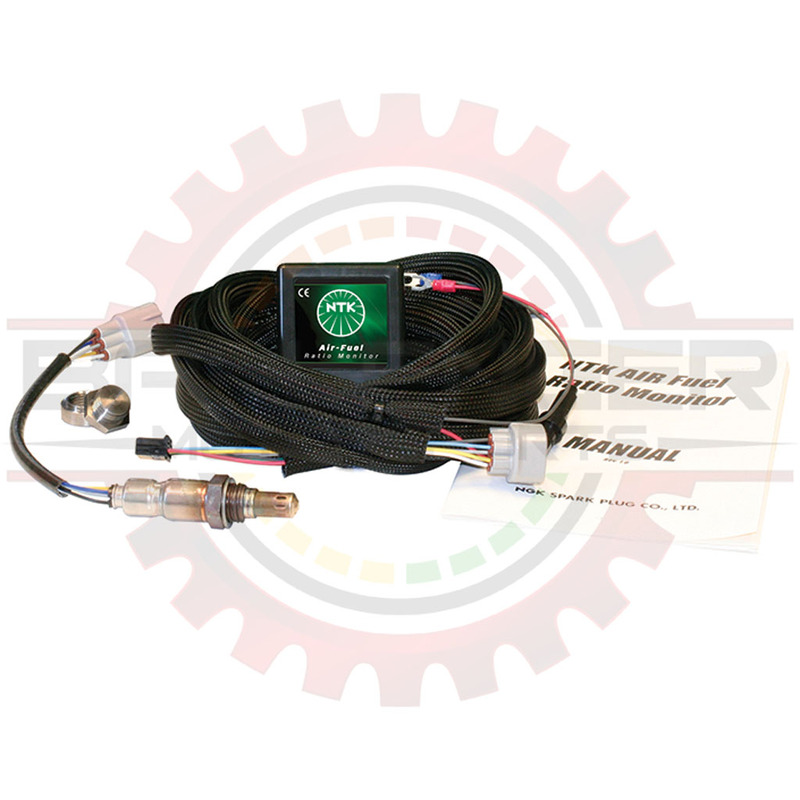 The NTK AFRM GEN2 Air Fuel Ratio Monitor is the most affordable true wideband technology to date. Many low-cost air-fuel ratio monitors do not use wideband sensors; they simply manipulate a standard narrow-band oxygen sensor signal with rough inaccurate data resulting in only marginal success. 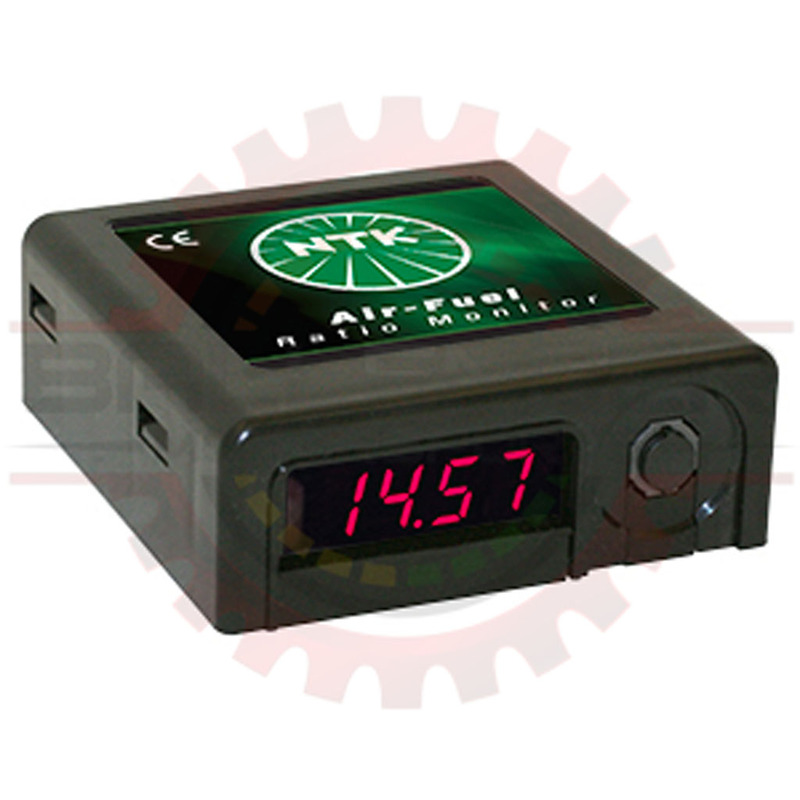 The NTK AFRM GEN2 Air Fuel Ratio Monitor reads air fuel ratio (AFR) values from 9.0 to 20.0 (0.62-1.37λ) or 9.0:1 to 16.0:1 (0.62-1.1λ) with a resolution of 0.1. Q: Can the NTK AFRM GEN2 use the same sensors as the NGK Powerdex AFX? A: No, the NTK AFRM & NTK AFRM GEN2 use a new sensor specifically designed for this application.